The Sri Lankans including Malinga are coming to the UAE. The Sri Lankan cricket board on Thursday granted its players the permission to play in the upcoming UAE T20x, a newly launched T20 franchise league. With this decision, Sri Lanka Cricket joins other full member nations including England, West-Indies, South Africa, New Zealand, Zimbabwe, Afghanistan and Ireland along with 16 associate members; all of which have allowed its players to participate in the UAE T20x. Sri Lanka Cricket’s decision is another stamp of approval for the inaugural league which promises to bring together a host of international stars to strut their wares in front of cricket fans in the UAE. Fans in the UAE will now get a chance to watch Sri Lankan stars such as Lasith Malinga, TM Dilshan, Ajantha Mendis, Angelo Mathews, Upul Tharanga, Thisara Perera, Rangana Herath, Dushmantha Chameera, Jeffrey Vandersay, Jeevan Mendis, Dilshan Munaweera, Angelo Perera, Lakshan Sandakan who have all signed up to be a part of the exciting league. Sangakkara has welcomed Sri Lanka Cricket’s decision. “The UAE T20x constantly strives to enhance diversity and seeks to attract fans and partners from all over the world. Considering this, it is very promising to know that we now have 24 cricket boards understanding the value of our league, which aims to nurture domestic talent and grow the game globally”. UAE T20x will take place from 19 December to 11 January in Dubai and Sharjah with five new franchise teams vying for the inaugural title in a 22-match format to be played over 24 days. 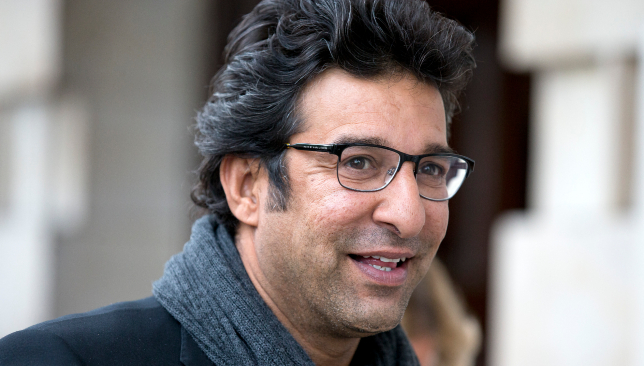 Former Pakistan skipper: Wasim Akram. The Pakistan Cricket Board (PCB) has defended its appointment of Wasim Akram to the newly formed cricket committee despite the former Pakistan skipper’s indictment for non-cooperation in the Justice Qayyum commission report on match-fixing. In 1998, the Justice Qayyum inquiry had been commissioned to probe several allegations of match-fixing in Pakistan cricket with the final report coming out in 2000. Akram had been fined for not cooperating with the probe but PCB chairman Ehsan Mani had controversially termed the report as ‘inconclusive’ last week when asked to comment on the former Pakistan pacer’s inclusion in the cricket committee. “The Qayyum commission report did not bar Wasim Akram from working for the betterment of cricket and for the PCB,” a statement from the PCB read. PCB refutes speculation over Justice Qayyum report. “The former captain has, since his retirement, established a reputation as a cricket commentator, coach and mentor all around the world and is widely acknowledged as a legend of the game. Akram has been inducted into the newly constituted cricket committee which will advise PCB chief Ehsan Mani on all cricketing matters. The committee also comprises of former Pakistan skipper Misbah-ul-Haq and has Mohsin Khan as its chairman. Sarfraz Ahmed currently leads Pakistan in all three formats. Pakistan Cricket Board’s (PCB) newly formed cricket committee chairman Mohsin Khan believes that leading the side in all three formats is taking a toll on skipper Sarfraz Ahmed. 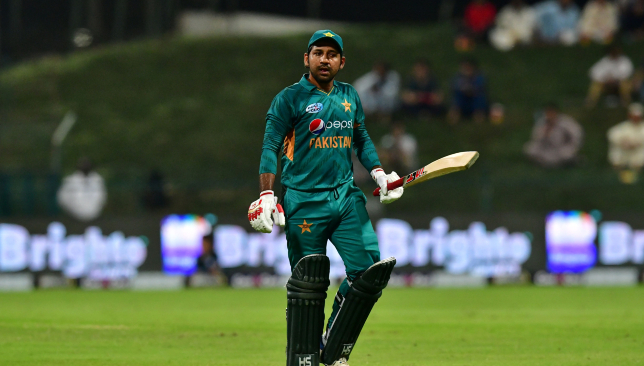 The former Pakistan international believes Sarfraz would be better served by giving up his Test captaincy to concentrate on the limited-overs format. “I have said it before and I will say it now too. With Sarfraz I was saying you got a new guy in, don’t put the burden of three formats on him,” Mohsin told Hum News. “It will take such a physical load on him, T20s, ODIs and then Tests if he is captain he will not get any mental relaxation. I had said make him T20 and ODI captain and in Tests, put in a senior player for a year, year-and-a-half which will give him time, allow him to relax and groom himself as a leader, to get some confidence. PCB cricket committee chairman: Mohsin Khan. Khan has been chosen to head the newly constituted cricket committee by PCB chief Ehsan Mani. The committee also comprises of former Pakistan skippers Wasim Akram and Misbah-ul-Haq and will advise the PCB chief on all cricketing matters in the country. The cricket committee chairman has stated that he will make his recommendations to the PCB chief. “I have spoken to Ehsan Mani, the final decision will of course be his but I will give him the suggestion. Whatever suggestions I give, it will not be out of personal interest. I will only suggest those things that will help make Pakistan better on or off the field,” he stated. Sarfraz and Pakistan are currently involved in a three-match T20 series against New Zealand in the UAE.